Which story from the local media will you remember from 2018 and why? The Tommy Robinson contempt case. Leeds live reporter Stephanie Finnegan knew her law and applied it in a bold and authoritative manner. The subsequent story made national headlines (as many news stories which start at a local level do — usually without acknowledgement from the nationals). The complicated case was well tackled and made an excellent example to my journalism students about why knowledge of media law is such an important part of their training. Subsequently, Stephanie’s appearance at Journalism and Media Week 2019 at Leeds Trinity University really made the undergraduates sit up and listen. This is the kind of story which illustrates so well why local news matters and why being a local reporter isn’t all about village fetes and knitting competitions. Stephanie’s tenacity and the courage of her convictions in the face of racist bullies is admirable. What has surprised you most about local journalism in 2018? How despite the knocks, it still picks itself back up and keeps on fighting. What do you see as the biggest challenges facing local journalism in 2019? The biggest challenge is still how to make enough money online. Print has a future, but it’s more in niche publications and special editions. It’s making daily local news pay its way online which is going to keep most legacy print products on their toes over the coming year. What advice would you give to local journalists planning for 2019? Be innovative and robust. Challenge yourself and push yourself. While some doors are closing so many more are opening — so don’t be afraid to experiment with storytelling methods if you can. Also, talk to people face-to-face and keep on top of your contacts! What do you hope will happen in 2019? Local news will continue to increase in importance in the eyes of the government and the wider general-public and the spotlight will continue to shine on sustaining a local democracy via local news provision. Less lip-service, more action. What can local editors to make their newsrooms more attractive to students or people considering entering the profession? Offer work placements and also constructive feedback and advice. All of us were rookies at some point, but in the fast-paced world now it’s easy to forget that the advice and time of news editors and reporters might have been what gave us the confidence to keep going and get that first job. What do you think local newsrooms are doing wrong at the moment? Pleading with the public to keep buying local newspapers isn’t going to make much difference unfortunately. Instead, forming a powerful coalition (for example, Behind Local News) and using it to lobby for funding, grants and national support and focus would be a better way of raising awareness and pushing people towards their local news providers (in my humble opinion). I would be happy to join such a lobby group. If you had one piece of advice for a local editor, what would it be? Keep on keeping on and drink lots of Yorkshire Tea! 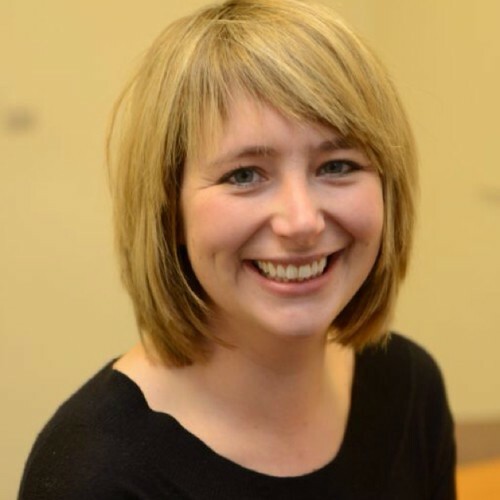 Rebecca Whittington is a Leeds Trinity University lecturer and former Johnston Press editor, news editor, head of content and Newsquest reporter, rookie and video journalist. Rebecca is in the final year of a PhD analysing the impact of digital tools on news production, identity and jurisdiction at regional newspaper newsrooms in the UK.